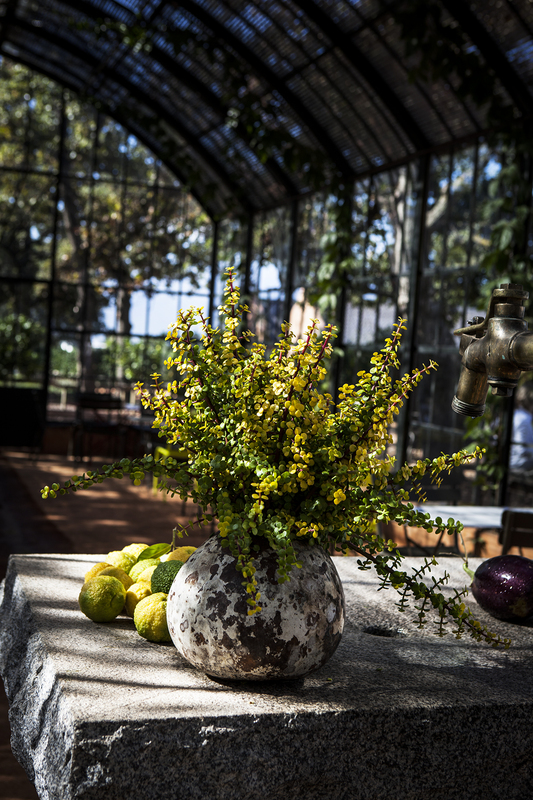 Portulacaria afra, commonly known as spekboom, is a drought-resistant, indigenous succulent native to our country. Although mainly an inhabitant of the Little Karoo and Eastern Cape, it also grows in dry river valleys in the east and up to the Limpopo, and on the slopes of the Soutpansberg. In late winter you may be lucky to see them covered in pink flowers. 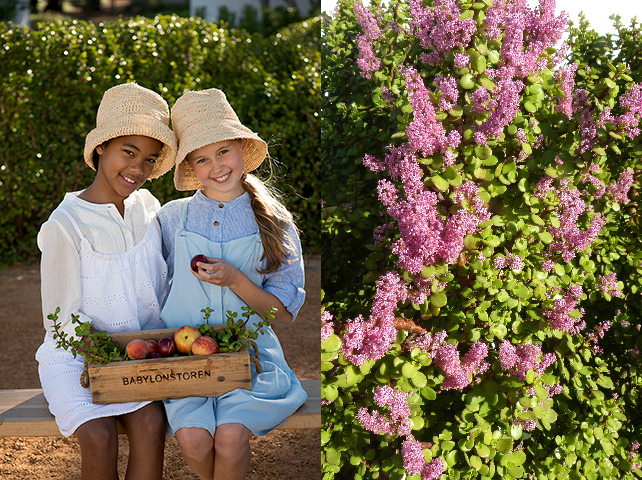 Here at Babylonstoren we have a nice spread of spekboom adjacent to the three fish ponds. Huh? Spekboom eats my car’s carbon dioxide? The spekboom earns enormous value for its carbon credits, and is highly regarded in terms of the voluntary carbon standard mechanism, making this humble oukie a red carpet rave on the international market. Although all plants trap carbon dioxide from the air to photosynthesize and grow, spekboom is highly efficient at this because it can still trap carbon dioxide even if its breathing pores are closed. Here’s how it works: Spekboom has the ability to change its photosynthesis pathway depending on rainfall and temperature. When conditions are favourable, it trots the same pathway as other plants (C3 photosynthesis). However, during harshly dry conditions, it switches to a different type of photosynthesis called CAM (Crassulacean Acid Metabolism). Now the plant closes the pores (or stoma) in its leaves and branches during the day so that no unnecessary transpiration takes place. Yet it remains able to photosynthesise. This is made possible by acid that builds up in the leaves during the night (stored as carbon dioxide), and is broken down during the day. In this way our friend efficiently captures large amounts of carbon using very little water. Easy with this versatile chappie. Simply snip a piece of 5–8 cm off a spekboom. Plant your cutting directly into the soil (will also root in sand). It’s almost entirely free of pests and diseases. Ideal in coastal areas, but not on the Highveld, as heavy frosts will kill it off. With its fleshy leaves and stem, spekboom is mostly used as a shrub, but can grow into a small tree. To farmers spekboom offers excellent grazing. 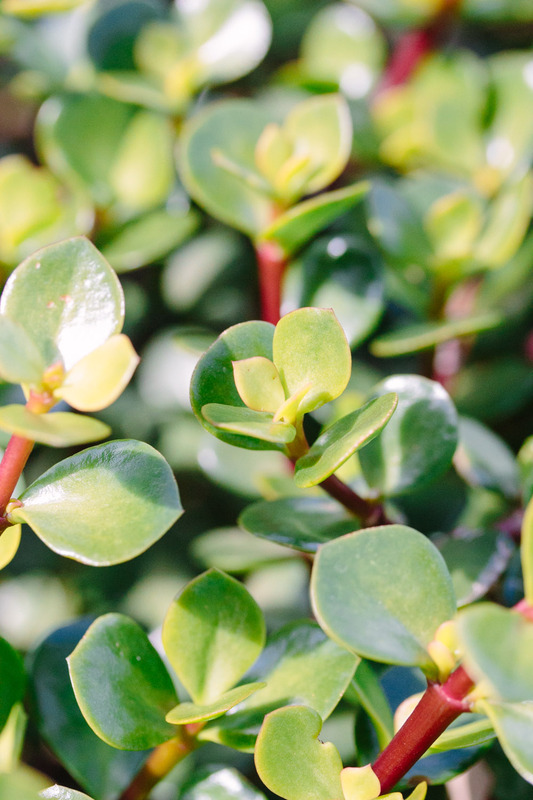 One of our hardiest succulents, this all-rounder is also used as hedging, as ground cover in dry areas and can be massed to serve as a firebreak. It makes an adorable bonsai, looks beautiful in a container, and is happy to grow as garden shrub or in rock gardens. The leaves are fully edible, slightly tart tasting, and packed with Vitamin C. Our Babel restaurant chefs love to use it in salads, stews, preserves and as garnish. Thank you so much for this. I have been hunting for something like this. It is quite fabulous! Much appreciate the introduction to this amazing plant. They certainly taste tart. Any tips on using them in dishes? Pickled?Salted like olives? Hi Carl, you can try making a pesto. We usually mix minced spekboom leaves, minced garlic and some of our olive oil for a lovely salad dressing. Hi can you be kind enough to send me a recipe to make pesto from spekboom as I have plenty of these trees in my garden. I did not know that the leaves can be eaten. Also for the first time ever I had pink flowers this season. I just adore your website, great app for android and iTunes. Got some of your vingin olive oil as a present from my daughter, and loved it, coming for your world famous breakfast in December. Cannot wait . Hi Susan, that is great! Can’t wait to have you with us and hope you enjoy your time here. Today I am starting on the rest-of-my-life with Spekboom! My response to water shortage! Thank you for all the tips on growing this amazing plant. Amazing this wonderplant.. I’ve just heard of this from a friend and have started planting them.